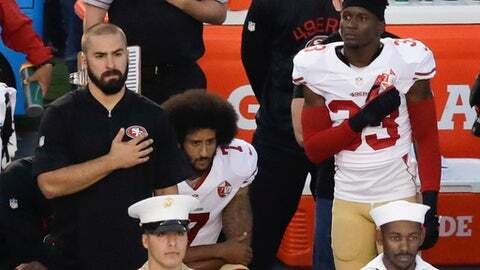 Colin Kaepernick’s attempt to shed light on racial injustice in the NFL preseason by sitting and then kneeling during the national anthem has gained traction in the athletic world, with athletes from around sports -- but particularly in the NFL -- joining the San Francisco 49ers QB. 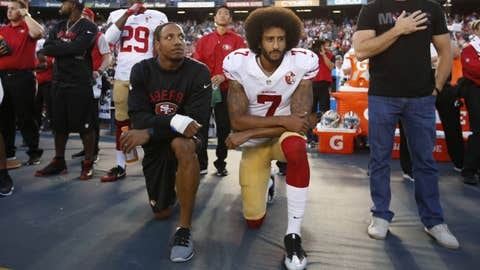 A week after making national headlines last month, Kaepernick's teammate -- safety Eric Reid -- was seen taking a knee with the 49ers quarterback during the anthem before a preseason game against the Chargers on a night saluting military members. U.S. national team star Megan Rapinoe, who was seen earlier this month kneeling during the anthem, locked arms with her Seattle Reign FC teammates Sunday. "I felt like it was the right thing to do. 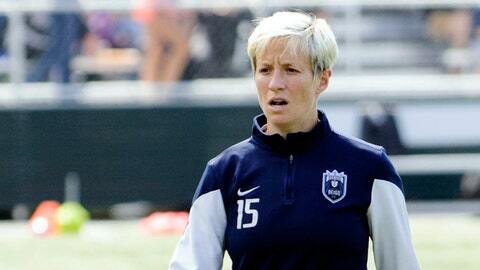 I think it was the right time to do that," Rapinoe said last week. 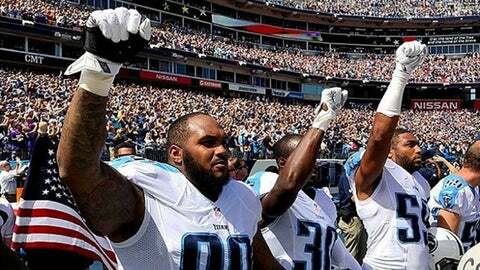 Defensive tackle Jurrell Casey, cornerback Jason McCourty and linebacker Wesley Woodyard were seen with their fists in the air before the Titans’ season opener against the Vikings on Sunday. It was one of a number of protests on the 15th anniversary of the Sept. 11 attacks. 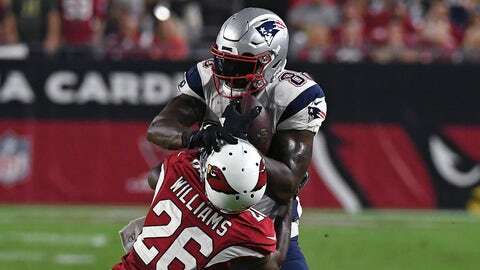 Tight end Martellus Bennett and cornerback Devin McCourty, twin brother of Titans cornerback Jason, each raised a fist after the national anthem during the Patriots’ Sunday night opener against the Cardinals. 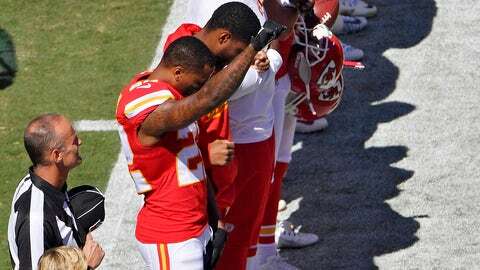 Cornerback Marcus Peters also raised a fist during the singing of the national anthem Sunday. 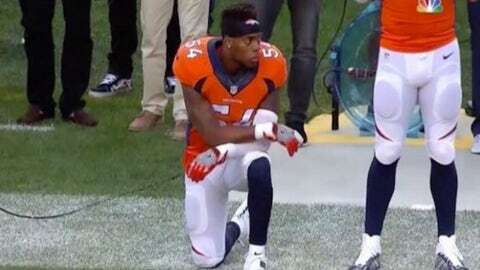 "I was just stating how I’m black, and I love being black, (and) I’m supporting Colin in what he’s doing as far as raising awareness with the justice system," Peters said after the game. 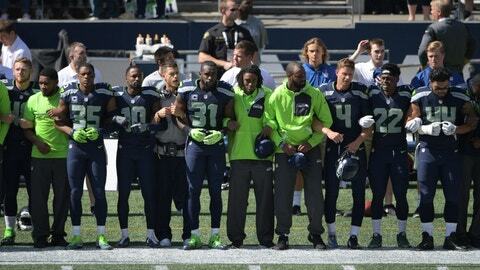 The 53 players on the roster along with the coaches locked arms in a sign of unity during the national anthem Sunday. "Change is inevitable. Change will always happen. But you got to apply direction to change, and that's when it's progress. And so right now what we're doing as a team, we have a follow through," wideout Doug Baldwin said. Running back Arian Foster, receiver Kenny Stills lineman Michael Thomas and linebacker Jelani Jenkins took a knee during the anthem Sunday. "I don't think there was any lack of respect. Everyone in this team and whole organization respects the flag and what it stands for. These guys are making a conversation about something that's very important topic in this country. 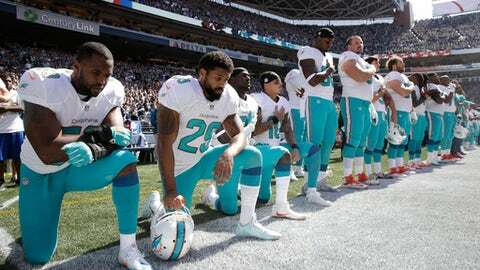 I'm 100 percent in support of them," Dolphins owner Stephen Ross said. Defensive end Robert Quinn and wide receiver Kenny Britt each raised a fist before Monday night's game against the 49ers. 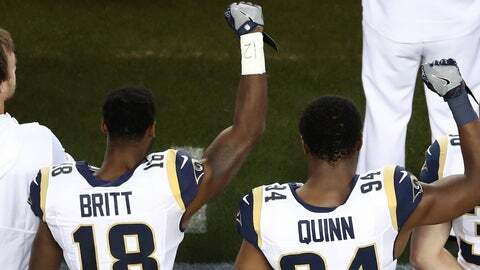 Britt was one of five Rams in 2014 who ran onto the field with their hands up in a sign of solidarity during the Ferguson riots in St. Louis.